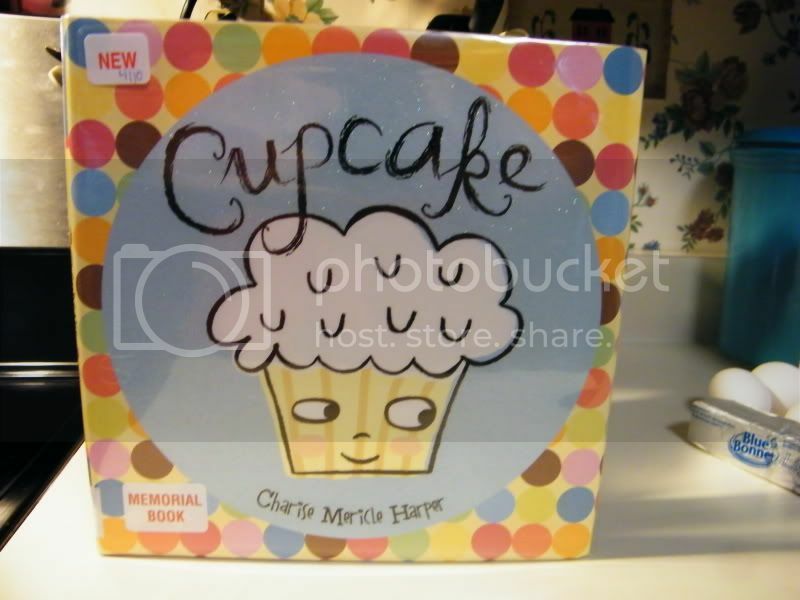 I Love cupcakes, so when I saw this cute little book at the library called Cupcake by Charise Mericle Harper, I had to take a peek. I have to say it is such a cute little book. It's about this plain ol' Vanilla cupcake with fancy brother and sister cupcakes (Rainbow-Sprinkles, Chocolaty Chocolate, Pink Princess, Polka Dot, etc.). But when they all get picked and he doesn't, he feels lonely. Along comes Candle. Candle tells Cupcake that he knows exactly how it feels being left out, since all his fancy brothers and sisters (Number Candle, Stripy Candle, Twisty Candle, Super-Long Candle, etc.) were picked too, leaving him behind, alone as well. 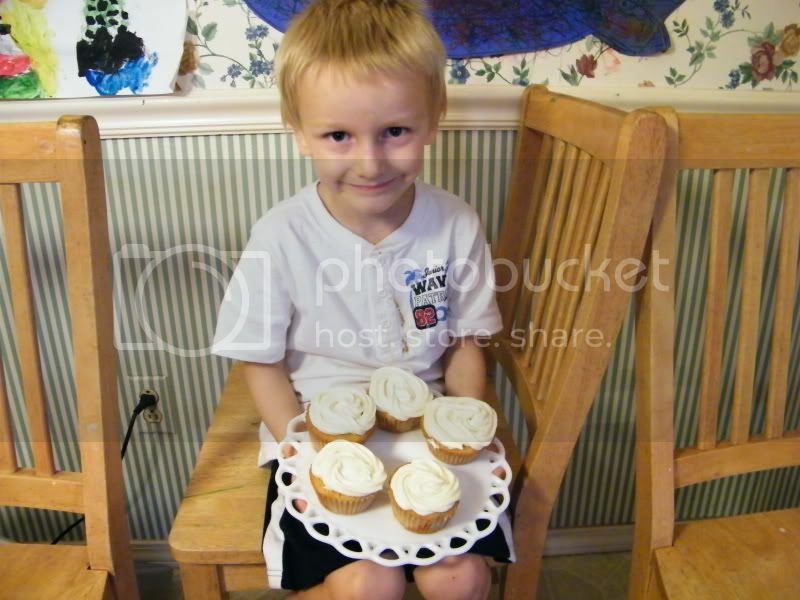 Candle decides that the only thing Cupcake is missing, that would make him feel special is a cool topping. So he sets off in search of a special topping to help cheer up Cupcake. He brings back pickles and spaghetti and peas and even a squirrel, which leaves a nut on top of Cupcake's head. Candle jumps up on Cupcake's head to remove the nut and it appears that they finally discover that they are perfectly matched...when Candle declares that the next day they should try...a potato...LOL! 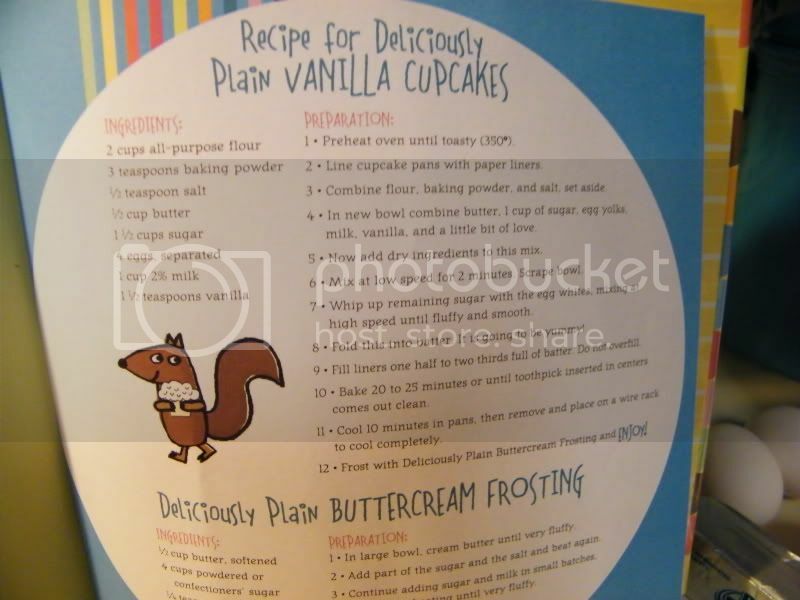 At the end of the book there are recipes for both Plain Vanilla Cupcakes and Plain Buttercream Frosting. Nathan and I had fun making them and even though I have shelf in my cupboard filled with colored sugar, sprinkles, and nonpareils - we left the cupcakes plain, white and ordinary, just like Cupcake. Oh my gosh, I MUST find that book. That sounds so incredibly cute. Thanks for sharing this book. I will have to keep it on my to do for C list when I start my alphabet lessons back up in September. That book sounds adorable. The book sounds so cute - I will have to find it and share it with the kids! 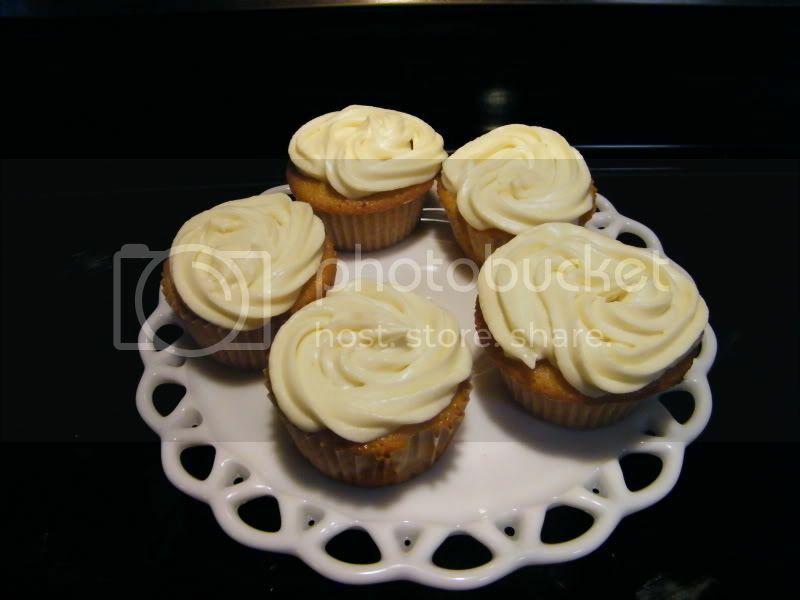 The cupcakes look delicious too! That books sounds so cute! 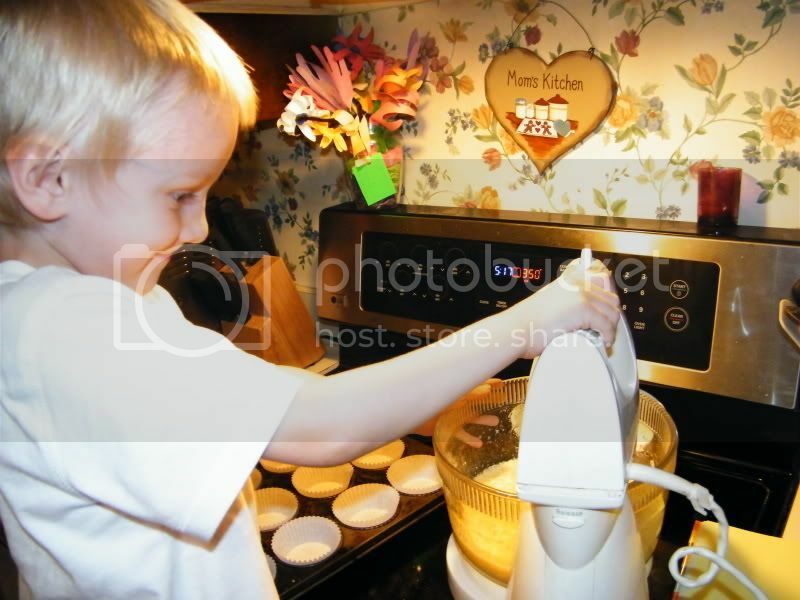 I know my oldest boy would love making cupcakes. How fun! Your pictures are really cute!